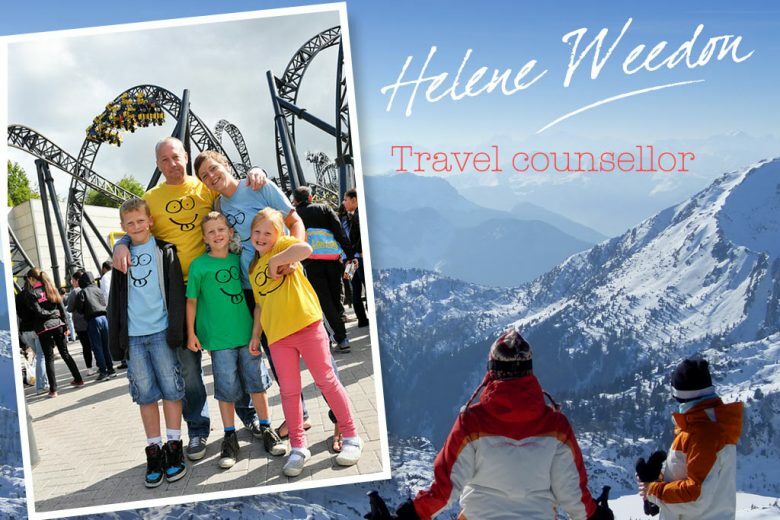 Mum of three Helene Weedon works from home as a personal travel counsellor. We asked her exactly what that means, what she loves about her work, and why working from home was the right choice for her. How did you start your career in travel? I studied business and finance at college, and travel and tourism was one element of the course. Straight away I got the travel bug and knew this was the career path I wanted to pursue. Following work experience in a couple of travel agencies I started work at 18 for Thomas Cook in a high street shop. Where did you work before you had children? Before I had children I always worked full time in an office-based position. After leaving Thomas Cook I joined HRG and spent most of my career working with corporate clients. How did your career change after you had your children? I hoped that it wouldn’t, but once children come along your priorities change, so I worked part-time with my first two children. When my third arrived I found it almost impossible to return to the office environment; with three children under the age of five it just wasn’t cost-effective to return to what I had been doing part-time, and the children needed me at home. What changes did you make to your career, and how have they worked for you? I decided to work from home so I could be there for my children. However, initially I found it very isolating. I worked for a small independent for a couple of years and received no support. I also missed the office banter and having someone to bounce ideas off. I wanted to work for the best in the business, so I joined Travel Counsellors – and discovered a whole new way of homeworking! The support I get is just incredible, and although I work from home, I never feel alone as I am connected to a network of colleagues who I’m always in touch with. I’m now building a business with the best support and tools available, and have finally achieved the work-life balance I’ve always craved. I’m able to work around the children’s school day and activities as I have the freedom to work the hours which fit around my family life. A travel counsellor is a personal travel concierge. We work individually with clients to tailor-make the perfect holiday for them, or attend to their every business need. I really understand my clients well, and I’m available 24/7 if they need me. I offer a valuable personal service that you just cannot buy online. I get real satisfaction from delivering great customer service. Living in a fast-moving world of technology it can be hard to find good customer service. But with Travel Counsellors I provide an excellent service to my clients. I go the extra mile to make sure they have the best experience, whether they’re planning the holiday of a lifetime, a business trip to New York or a trip to the theatre. It’s no surprise that the Travel Counsellors’ customer loyalty score is one of the best in the world! What advice would you give another working mum? If you’re thinking of working for yourself then take the plunge! It was the best thing I’ve ever done. It’s a really scary prospect when the family relies on your income, but it’s allowed me to create the perfect work-life balance. I no longer have to be sat at work worrying if I will be late to collect the children, or whether I will finish my work for the day to the best of my ability because my mind is on swimming club. Life is still manic at times, but I would recommend making the leap if it’s possible for you and is something you have considered. I can’t pick a favourite place because each time I go somewhere new, that becomes my favourite! I’ve been lucky enough to see some great places in the world but I’m not finished yet – there are so many amazing countries and cities I still want to explore.